Embrace our New exciting Farmhouse ciders that bring the natural taste of the apple! 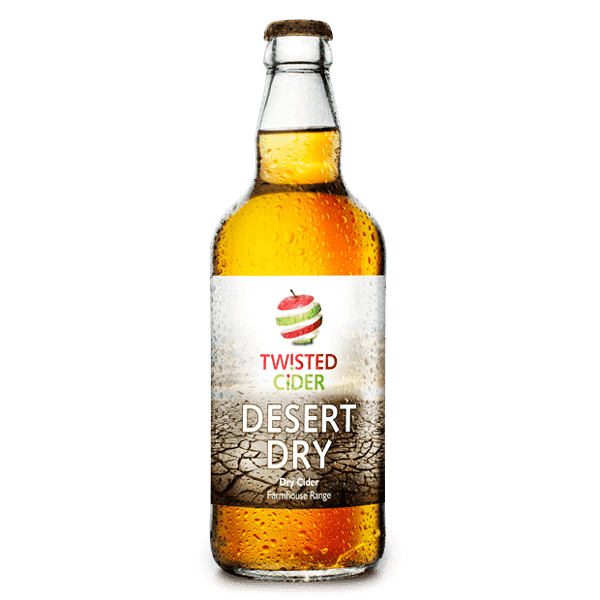 Take a sip of this delicious cider and be transported to the wild orchards of the deep South West where the glorious sunshine and perfect growing conditions makes the trees wild and the apples sweet as nectar. One for the cider connoisseur, nothing but hand checked perfect cider apples go into Desert Dry producing a traditional cider with a complex palette rich with tannins and bittersweet flavour. Incredibly refreshing and very moreish. 12 months of craftsmanship to bring you an unrivaled taste! Why not try out a Mixed Case? The mixed case is a perfect present for cider fans and great for parties.